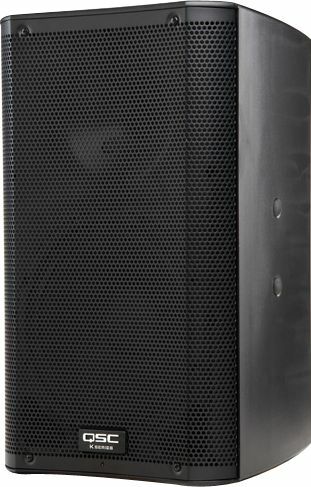 The QSC K10 10″ powered loudspeaker, featuring its revolutionary 1000W power module, delivers the high-quality amplification, HF driver, and low-frequency driver of the K-Series speakers, offering ~90° conical coverage and 129dB peak output, low frequencies extending to ~56Hz. The K10 offers exceptional power and performance from an extremely compact system, and it can also be used as an ultra low-profile, horizontal wedge or side fill. 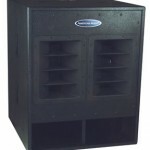 QSC’s K10 PA speaker features a 1-3/4″ HF device in its 2-way enclosure. The primary differentiator in K-series speakers is the resulting output dispersion—the K8 being the widest at 105° and the K12 the narrowest at 75°. This radical approach is achievable due to a process called Directivity Matched Transition (DMT). DMT allows QSC to take advantage of a fundamental law of acoustics: smaller diameter woofers have wider coverage patterns than larger ones. The K Series matches the HF device to the LF dispersion, allowing for the smoothest and flattest frequency response possible across the entire sound field. Add to this advanced DSP processing and an enclosure molded from ABS—a material far more rugged and sonically pleasing than conventional plastics—and the K Series delivers exceptional performance in this category of loudspeakers. 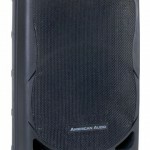 The QSC K10 speaker boasts other user-friendly features. For example, when speakers are pole-mounted, the Tilt-Direct pole socket converts to a 7.5° down-tilt with a simple 180° rotation of the dial. A locking IEC power cord is included, preventing accidental disconnect during a performance. For installed applications, connecting a commonly available potentiometer to the unit’s Euroblock connector allows the operator to have gain control from a remote location. Multiple K Series units can be daisy-chained together to one centralized control. Additionally, the QSC K Series enters Standby mode after 5 minutes of inactivity, conserving power. The brain of the K10 system is its expansive digital signal processing. While the DSP functions are optimized using Intrinsic Correction, DEEP, DMT and GuardRail technologies (with the high-pass filter included for use with subwoofer systems), two XLR-combi inputs, each with its own Level control, are provided. Both accommodate line-level inputs and one may be switched to microphone level sensitivity. Phono (RCA) input jacks are also included for connection of consumer electronics sources. Dual XLR outputs are provided for dual “loop-thru” XLR/M connectors and a single XLR jack is available as a summed output. All 3 input sources may be used at once and mixed via the 2 Gain control knobs. 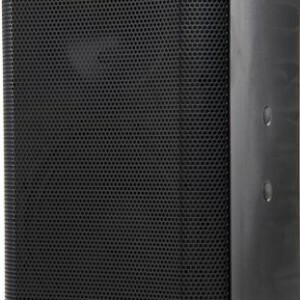 The QSC K10 speaker incorporates a conical waveguide that maintains pattern control all the way down to the crossover frequency. The coverage angles of the waveguides are tailored for a smooth transition from woofer to compression driver with far less “waistbanding” or other directivity related anomalies than other products in this class.